When not planning Hens Parties we are always up for a good flick! We have decided to put our Secret Womens Business monthly movie night to good use and pop up movie reviews of what we have been watching: the good, the bad and the ugly! Iv’e never been one for chick flicks I just don’t have the stomach for it. The mere mention sends me running for cover and conjures up hideous images of Tom Hanks baring his soul or a tearful Jennifer Aniston looking for love in all the wrong places. When Bridesmaids came onto my radar, once again I scoffed at even the thought of having to endure another 2 hours of yet more pitiful attempts at another wedding style comedy. This cynic has never been so wrong. Bridesmaids goes where no typical chick flick dares to go and it’s side splitting laugh and snort out loud hilarious.!! The cast is predominately female but boys and girls alike will relish in this witty and often hysterical film. Annie (Kristen Wiig) is literally flailing through life, when her best friend Lillian (Maya Rudolph) offers her the chance to be her maid of honour. You would think this would be a welcome distraction from Annie’s troubles. Wrong! What ensues is Annie bluffing her way through a series of bizarre and increasingly hysterical wedding rituals trying to get it all perfect. To add insult Annie is introduced to Lillian’s new beautiful and very rich friend Helen (Rose Byrne). Annie soon finds herself competing for Lillian’s friendship and many humorous events take place as Annie’s world crumbles around her. The Bridesmaids cast is a Powerhouse of comedic actors. Kristen Wiig and Maya Rudolph, both Saturday night Live Alumni, are truly funny in their roles. For me the true standout is Melissa McCarthy as the groom’s sister Megan – pure comedy brilliance! Many of McCarthys scenes left me crying tears of laughter and clutching my stomach unable to breathe. Her Fight club theme idea for the bridal shower still has me in stitches. Rose Byrne is great as the practically perfect in every way Helen , and look out also for the too funny for words Matt Lucas and Rebel Wilson as Annie’s oddball housemates. What is especially wonderful about this film is not only the comedy but the heart. All the characters are wonderfully flawed and just trying to get through life as best they can. I simply cannot remember the last time a film made me laugh this hard, and the food poisoning scene in the Bridal store is worth the $18 movie ticket alone. Finally a female ensemble comedy that is witty honest and just downright funny. I utterly loved it 5 stars. Let us tell an old story anew…………. This opening line gives us the gist of this new adaption of the 1959 Disney animated classic Sleeping Beauty. Maleficent whose mere name strikes fear in the heart of many , is portrayed as a much more humane character in this delightful yet dark retelling of a beloved childhood fairy tale. 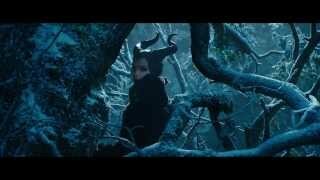 A lengthy prologue invites us into the magical world of Fairy Maleficent (Angelina Jolie) Queen of the Moors, and tells us how she came to fall in love with a human named Stefan ( Sharlto Copley). Stefan in turn betrays Maleficent when he is given the chance to become king. In the key betrayal scene Jolie’s howls of pain and anguish will chill you to the bone. To revenge herself on the man who has unleashed her dark and wicked side , Maleficent places a curse on king Stefan’s baby daughter Aurora, condemning her on her 16th birthday to prick her finger and fall into a deathly sleep, to be woken only by true love’s kiss. Despite appearances the fearsome fairy is far from being truly evil. We watch her develop a fondness for and emotional tie to Aurora as she grows up. There is a handsome prince , fairy godmothers, a dragon and even a kiss but also expect the unexpected from this re-imagined tale. Director Robert Stromberg has created a visual feast reminiscent of Avatar and Alice in Wonderland – with a dark twist . The costumes are gorgeously gothic which add to the films charm. This is undeniably Jolie’s picture. From the moment she appears on screen with her perfectly cheekbones , incredible wings and mesmerising eyes you will be captivated. Elle Fanning as the teenage Aurora is delightful and Sam Riley makes a wonderful accomplice to Maleficent as Divial the Raven. This entry was posted in Hens News and tagged movie review. Bookmark the permalink.